We are all looking for some time away from screens. But when our Michigan weather is cold, snowy, wet, or otherwise inclement, it can be tough to find fun things for kids to do; you can only play in the snow for so long before everyone gets too cold! With all the snow days our kids have had recently, it can be tough to find activities to keep them entertained for a full day. Pry the tablets and phones away from your kids (or grandkids) and spend some quality time playing these fun indoor games and activities! Use copy paper to fold paper airplanes. Compete to see who can fly their plane the farthest, or give the best air show of loops and twists. You can use tape, paperclips, or other supplies to make your planes more complex. Or, you can use markers and stickers to make them more beautiful! Use a tennis ball and empty pop bottles to turn your living room or hallway into a bowling alley. You could even decorate one of the pins with markers and give it away as a prize like at a real bowling tournament. Or, when you are finished playing, you could visit the bottle and can return and give the money to the winner! Wrap wax paper around the children’s feet and secure with tape or rubber bands. On a hard surface floor, like in the kitchen, tape off a clear area for the “ice rink.” Each child takes turns as figure skater or judge, and performs to music of their choice or scores 1-10, just like at the Olympics. Silently act out an animal while others guess. Depending on the ages playing, you can write the animals down or use small pictures. Each player takes turn drawing an animal from the hat and acting it out. For variation, you can use animal sounds instead of silent actions. Simple pen and paper games like tic tac toe, hangman, dots and boxes are easy to put together. A homemade version of Scattergories (sometimes called Categories or Alphabet) is simple enough. Take turns picking the category (movies, animals, names, etc.) and write down a word for each letter of the alphabet. Points are given for unique answers. Pictionary takes charades and puts it down on paper (or dry erase board). Connect four can easily be played with paper and pen simply draw a 10×10 grid and take turns drawing Xs and Os. Up to you if you want gravity to apply like in the store-bought version! Grab a toy vacuum or a corn popper push toy and pretend to clean the carpet, just like a Modtech! 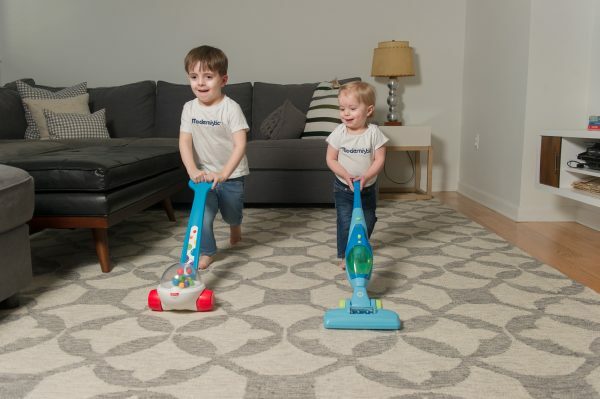 Have your kids start at one end of the room and work toward the other end, “cleaning” the entire carpet as they go. You can show them or let them figure out the most efficient ways to cover every square inch with their cleaning instrument of choice (of course, it helps if they’ve seen a professional Modcleaning in action!). You can make it a game: whoever finishes their entire room first gets the prize! Hopefully, with these games in mind, you can find hours of fun with the kids in your home. These games and activities may be old fashioned, but they never go out of style. Even during the coldest winter weather, Modernistic has been keeping Michigan homes clean and ready to play in since 1973! Call or click today to have an expert Modtech take care of your indoor activity area. You’ve just gotten off the phone or website after scheduling a professional carpet cleaning company to come out and clean your home. Maybe they’re coming out to work on a few specific stains you’re worried about. Maybe they’re coming to clean your entire home as part of your spring cleaning plan. 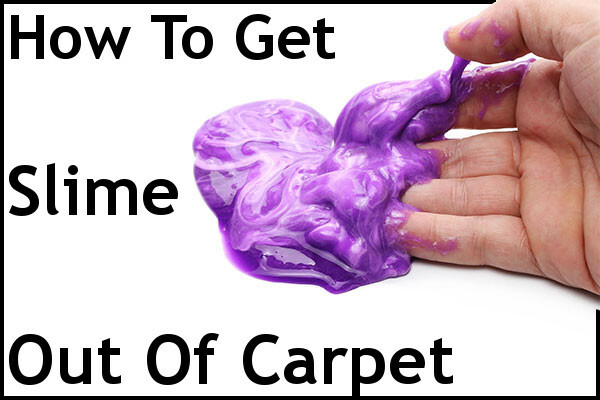 Either way here are a few tips to get the most out of your carpet cleaning. Prior to the cleaning crew arriving, there are a few things you can do for your home. Carpet cleaning companies should move any furniture like tables and chairs to clean underneath so moving any breakable items, such as lamps or picture frames, to other rooms can help the technicians safely move your furniture around. If you have any pets in your home that shed a lot, vacuuming prior to the carpet tech’s arrival can help remove the surface layer, allowing the cleaners to get the hair that is more deeply woven into the fibers. The same applies if they’re coming to clean your upholstery that your pet sits on. If you are concerned about any particular areas, make sure to let the technicians know when they arrive to your home. What was spilled, when it happened, and what you did to try to get the stain up are all important factors in what methods and products they use to clean those areas. Any information you have will help them choose the right way to get your carpet looking new again. Getting on a semi-annual or annual maintenance schedule is a great way to really maximize the life of your carpeting. 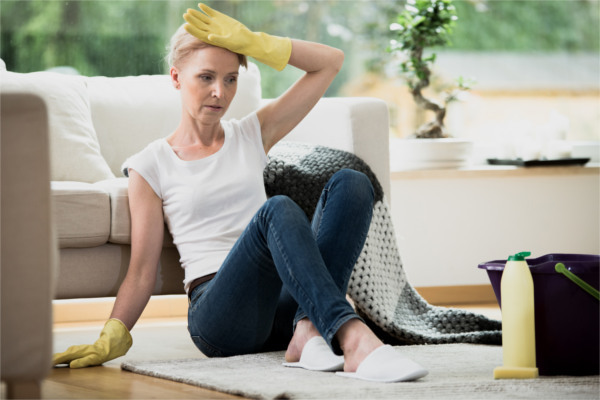 Regular cleanings can remove the buildup of dirt that gathers before it causes wear and damage to the carpet fibers themselves. Have the technicians apply 3M Scotchgard protectant after the cleaning. 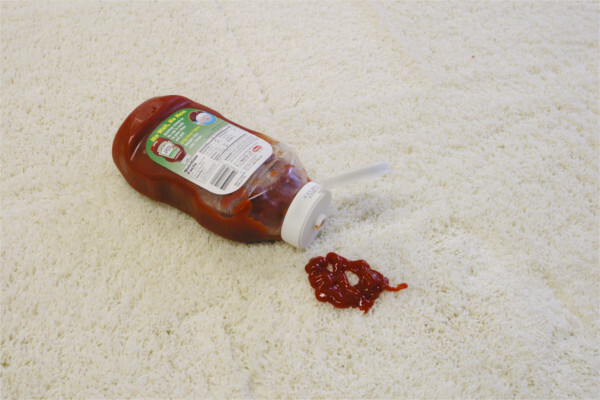 It acts as a barrier for your carpeting, making it harder for stains and dirt to permanently set in. Modernistic has been helping our customers get the most out of our services for over 45 years! 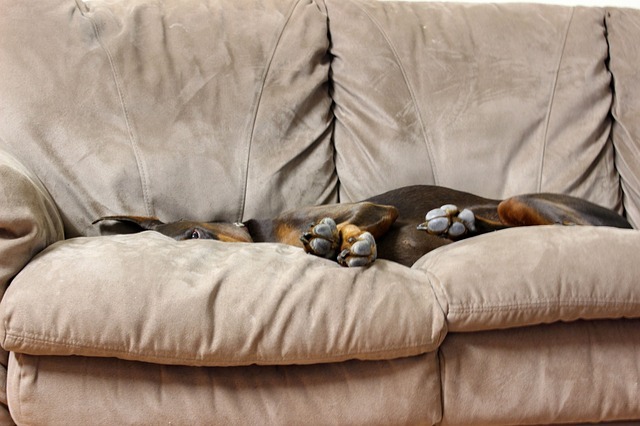 Click or Call to see how we can help your home stay its cleanest! Eventually, even the most expensive and well-maintained piece of carpeting will begin to show wear. This is especially true in the high traffic areas of your home, like the paths you walk on every day. 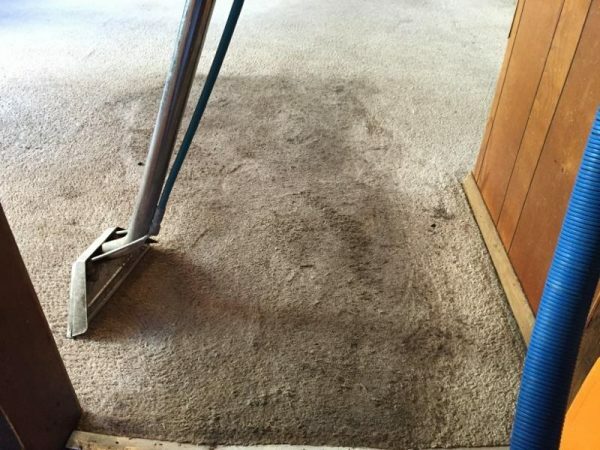 These areas might look like they are just a little bit dirtier (and that might be true) but a visible wear pattern is actual damage to the carpet fibers themselves. What you’re seeing is damaged, worn-down carpet! Dirt is the main culprit here; tiny pieces of dirt are actually quite sharp and get ground into the carpeting with each step we take. 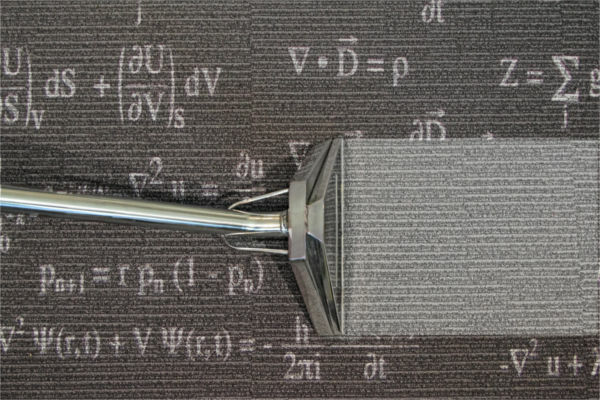 So now that we know what they are, how do we prevent wear patterns in carpet? The best way to prevent wear patterns in your carpet is to keep it as clean as possible for as long as possible. Since dirt particles are responsible for 99% of traffic pattern damage, vacuuming is a huge step in keeping wear patterns from forming. While it depends on how much activity goes on in your home, there really isn’t such a thing as vacuuming too much. Pay special attention to the areas that attract the most dirt, such as the transitions from carpet to other surfaces like tile or wood that don’t capture nearly as much dirt. And don’t forget your stairs – the ledge of each step is another area where carpet wear is prevalent because that’s where the pad underneath the carpeting is the thinnest (and also where everyone steps). Another huge but easy method to prolonging the life of your carpeting is to take your shoes off right when you enter the house. 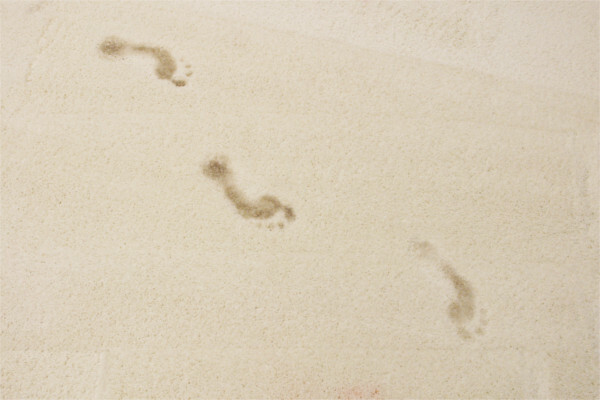 Many homes have an entry mat for you to wipe your feet on when entering, and that can help, but it takes an average of 25 steps to remove all the dirt from the bottom of your shoes. This would require a much longer entry rug than is probably feasible in your home, so taking off your shoes is probably a much easier solution. Even if you take these important steps, eventually the carpet will begin to show wear. 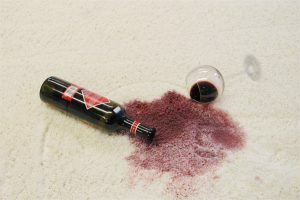 Regular professional carpet cleaning can remove much more dirt than a home vacuum can, further preventing carpet wear. They can also apply 3M Scotchgard carpet protectant. This acts as a barrier for the fibers of the carpeting, making it harder for the dirt itself to damage the fibers. 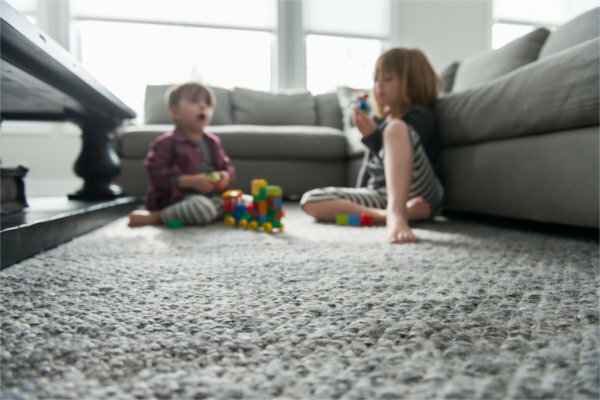 While all carpeting wears with time, these simple measures will help prevent wear patterns and traffic lanes in your home, letting you enjoy your flooring for as long as possible! Modernistic has been keeping Michigan homes wear pattern free for over 45 years! 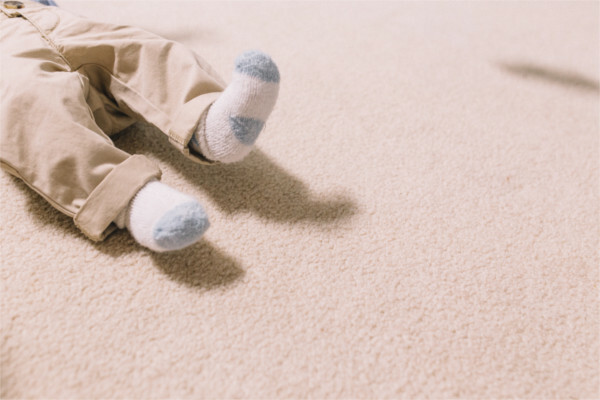 Click or call to find out how we can help keep your carpet looking like new.